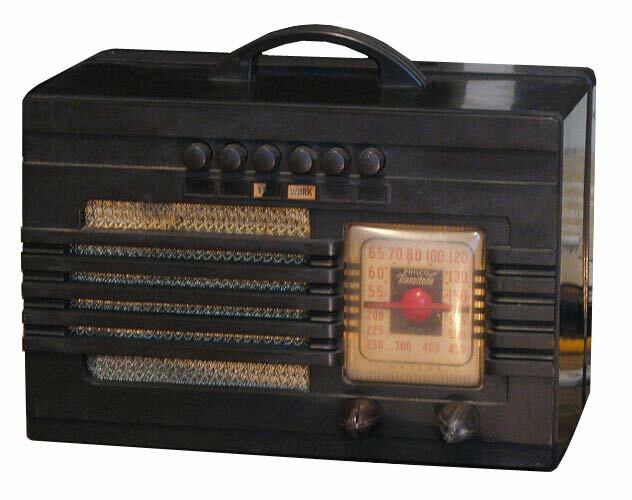 The Philco PT-57 was introduced in late 1939 as a 1940 model for $18.95 and succeeded the 1939 model TH-17. The PT-57 is similar to other 1940 models including the PT-33, PT-45, PT-47, and PT-51, all of which sold in relatively low volumes compared to successful Philco models, so these are relatively uncommon sets and hard to come across. Similar and more successful 1939 predecessors include the model TH-4, TH-5, TP-5, and TH-17. 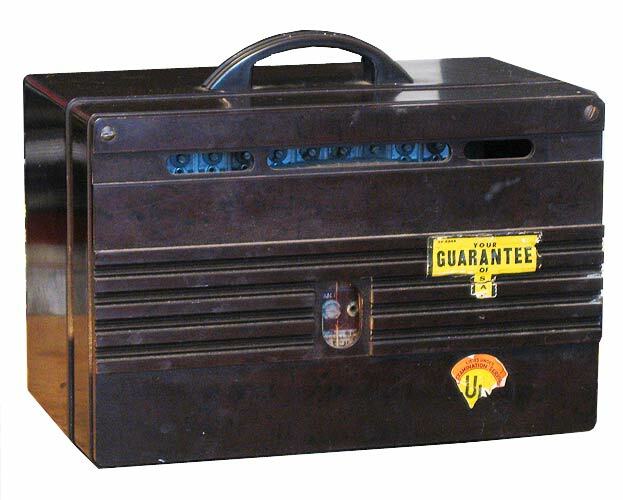 The PT-57 comes in a neat black bakelite cabinet with station preset pushbuttons on top and complete with a molded back and comes with a carrying handle.